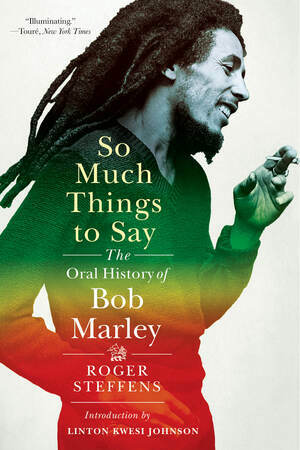 Renowned reggae historian Roger Steffens’s riveting oral history of Bob Marley’s life draws on four decades of intimate interviews with band members, family, lovers, and confidants—many speaking publicly for the first time. Hailed by the New York Times Book Review as a “crucial voice” in the documentation of Marley’s legacy, Steffens spent years traveling with the Wailers and taking iconic photographs. Through eyewitness accounts of vivid scenes—the future star auditioning for Coxson Dodd; the violent confrontation between the Wailers and producer Lee Perry; the attempted assassination (and conspiracy theories that followed); the artist’s tragic death from cancer—So Much Things to Say tells Marley’s story like never before. What emerges is a legendary figure “who feels a bit more human” (The New Yorker).